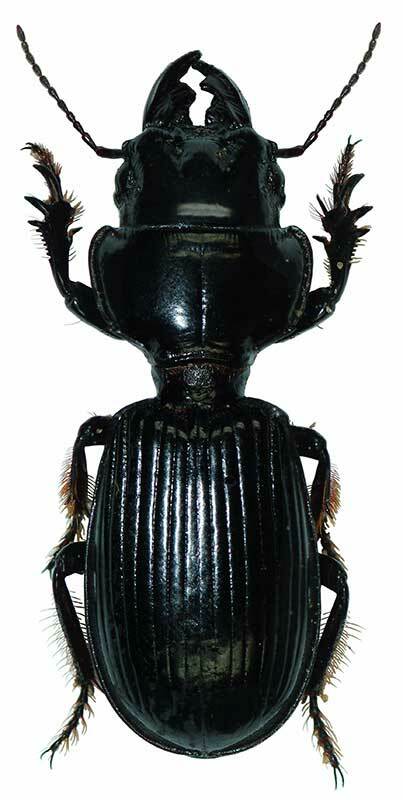 Beetle follows Carabidae family, and Coleoptera order. 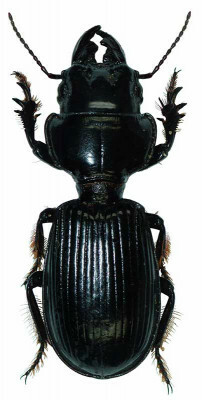 Size is 36 mm, black, and with big thorax. Front legs are raptorial for digging. It is nocturnal, hides at daytimes in sand. It is distinguished with parallel lines on upper body surface.